Nokia's Lumia 2520 tablet, which is rumored to run Windows RT and come in at 10.1 inches, will supposedly hit a bevy of carriers for $499 mid-November. According to WPCentral, the tablet is scheduled to hit "AT&T and others"—Verizon has already been a rumored target—and come in at black, white, red and cyan (per @evleaks); the device will also allegedly feature 32GB of internal storage, and support microSD expansion. When the device officially launches (there's an event scheduled for Oct. 22), it'll reportedly sport a quad-core Snapdragon 800 chip, 10.1-inch Full HD display, exclusive Nokia software and a 6.7-megapixel camera with Carl Zeiss optics. Judging from a leaked shot we saw of the device, it'll look very much like Nokia's current Lumia handset family, but blown up to tablet proportions. 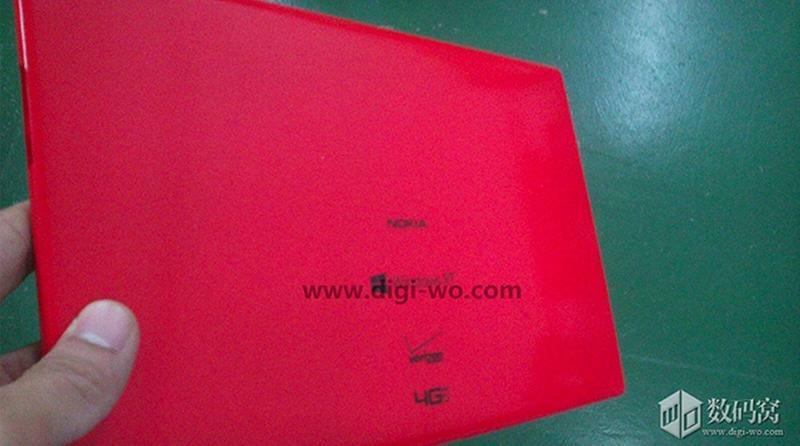 A Nokia tablet equipped with LTE recently passed through the FCC, suggesting a release is indeed imminent. Microsoft has some high profile tablets of its own coming out soon, meaning the world of Windows RT will have some pretty good ammo to do battle with other, more high profile candidates this holiday season. Is a Nokia tablet even something consumers are lusting after? We'll find out soon. Update: And @evleaks has popped up with a render of the 2520 in cyan.